This article is about the men's team. For the women's team, see Bulgaria women's national football team. The Bulgaria national football team (Bulgarian : Български национален отбор по футбол) is an association football team of Bulgaria. It is fielded by the Bulgarian Football Union, a member association of UEFA. The team's home stadium is the Vasil Levski Stadium in Sofia and Petar Hubchev is the current national manager. Their best achievements are – reaching the FIFA World Cup semi-finals in 1994, reaching the Summer Olympics final in 1968, quarter-finals at the UEFA Euro 1968, along with winning four Balkan Cup titles. Although defeating strong top ranked teams in many international friendlies throughout the years, the team's strength has slowly fallen. In result, Bulgaria has failed to qualify for any major tournament since 2004. The Bulgarian Football Union (BFU) is a football association based in Bulgaria and a member of UEFA. It organizes a football league, Bulgarian A Professional Football Group, and fields its Bulgaria national football team in UEFA and FIFA -authorised competitions. The Bulgarian national football team was formed in 1922. In 1923, The Bulgarian Football Union was formed and the team's first match was held in Vienna on 21 May 1924, which resulted in a 0–0 draw against Austria. Bulgaria had later qualified for the 1930 World Cup in Uruguay, but had to withdraw due to strong tropical storms and hurricanes on the Atlantic Ocean at that time. Despite this unfortunate event, Bulgaria’s power would overtime grow and eventually reach its maximum peak within the next 60 years. The Austria national football team is the association football team that represents Austria in international competition and is controlled by the Austrian Football Association . Austria has qualified for seven FIFA World Cups, most recently in 1998. The country played in the UEFA European Championship for the first time in 2008, when it co-hosted the event with Switzerland, and most recently qualified in 2016. Bulgaria's first qualification to a World Cup came 1930 when they qualified for the 1930 World Cup in Uruguay. The national team had to cancel their entry due to flight delays caused by tropical storms and hurricanes on the Atlantic Ocean. There original group stage opponents were set as Brazil, Yugoslavia and Bolivia. This was a major disappointment to the national side. Bulgaria’s next entrance to a world cup would come almost 32 years later when they qualified for the 1962 World Cup in Chile. After their disappointment of not being able to compete in their first world cup, the Bulgarian side sadly could not qualify for any major tournament for nearly 30 years. Luck was simply not on their side as they would narrowly fall short of qualification on numerous occasions. The national team had gone on a streak of finishing 2nd or 3rd in their qualifying groups along with proceeding to the play offs, but in the end, failing to qualify. Despite their qualifying problems, the national side did manage to defeat many great teams during memorable international friendlies during those years. It also seemed as if the only tournaments they managed to qualify for were smaller tournaments, such as the Balkan Cup, which they won four times. Finally, after their long stretch of absence, their time of international revival had come. 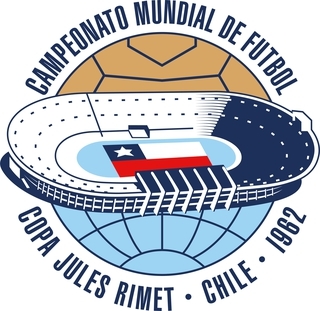 The national side had qualified for the World Cup for the second time, in Chile, 1962. Bulgaria qualified for the World Cup for the second time in its history in 1962 and followed that up with consecutive appearances in 1966, 1970 and 1974. The team, however, did not have much success and finished in third place in their group three out of the four times. The team qualified for its first ever UEFA European Championship in 1968 and went on to win their group with impressive wins over Norway (4-2), Sweden (3-0) and Portugal (1-0) before losing to eventual champions and hosts Italy in a two-legged quarter-final. Bulgaria won the first leg 3-2, but lost the second by a 2-0 score to lose 4-3 on aggregate. They remained the only team to have defeated the eventual champions, before their surprising quarter-final finish. 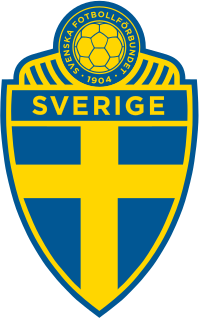 The Sweden national football team represents Sweden in association football and is controlled by the Swedish Football Association, the governing body for football in Sweden. Sweden's home ground is Friends Arena in Stockholm and the team is coached by Janne Andersson. From 1945 to late 1950s, they were considered one of the greatest teams in Europe. At the 1968 Summer Olympics, the team won the silver medal. They finished first in Group D by defeating Thailand 7–0, Guatemala 2–1, and drawing 2–2 against Czechoslovakia. They advanced to the quarter-finals by defeating Israel and then the semi-finals by defeating favored hosts Mexico. In the Olympic Final, the team was defeated by Hungary, in what many would say was a hard fought match for both sides. The Thailand national football team represents Thailand in international men's association football. Officially nicknamed the War Elephants, the team is controlled by the governing body for football in Thailand, Football Association of Thailand, which is a member of the Asian Football Confederation (AFC) and the regional ASEAN Football Federation (AFF). Despite winning the tournament two times already in 1931 and 1932, the Bulgaria national team added two more Balkan Cup trophies to their case as they went on to win the tournament in 1973 and 1976. In both 1973 and 1976, Bulgaria had used their previous world cup experience to create a very tactical team. This paid off quite well, as they had many decisive victories over Hungary, Greece, Turkey, Yugoslavia, Poland, Albania and Romania. In fact, the team won the 1976 Balkan Cup by beating Romania in the two-legged final 1–0 and 3–2. Bulgaria finally qualified for their second world cup. Bulgaria was drawn in a tough group with tough opponents England, power house Argentina and super power house Hungary. Bulgaria opened up their campaign with a narrow 0-1 loss to Argentina. Later on, misery had struck, as Bulgaria would lose their second group match by a 1-6 score to Hungary. Bulgaria’s hopes of qualifying were over, but with one world cup match left, they gave it a shot. 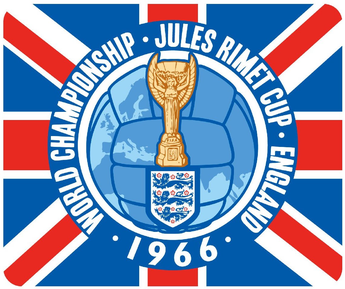 The national side impressively drew with future 1966 World Cup Champions England 0-0 and finished fourth in the group with only one point. As 4 years passed, so did another chance of world cup success. Bulgaria qualified for their second straight world cup. They were drawn into an even tougher group compared to the previous world cup. They were placed in the group of death with super powers Hungary, Portugal and Brazil, with Pele at the helm. Bulgaria opened their campaign match with a 0-2 loss to Brazil thanks to two free kick goals by Pele and Garrincha. Later on Bulgaria carried on with a 0-3 loss to Euseibo's Portugal. Finally Bulgaria, once again with no chance of next round qualification, finished their last match with a 1-3 loss to Hungary. Bulgaria once again finished fourth with zero points in the group. This being Bulgaria’s worst world cup performance yet. After their poor world cup performance, Bulgaria was determined to redeem themselves. Bulgaria was drawn in a very tough group with Scandinavian Giants Norway and Sweden along with legend Euseibo's Portugal. Bulgaria started off very well with a 4-2 win over Norway. They would add to their winning streak with a 3-0 destruction of Sweden. There final match determined who would win the group. Bulgaria were downed in the past world cup by Portugal 3-0, and they were ready for fierce revenge. Bulgaria went on to defeat Portugal by a 1-0 score. This would seal Bulgaria as the undefeated group winners which qualified them to the two legged quarterfinal. Bulgaria went on to face Italy, the hosts. Bulgaria started off well, with a 3-2 victory over the Italians. When the second match came, Bulgaria sadly fell 2-0, resulting in elimination from the tournament. Italy would go on to win the European Championship, while Bulgaria were given the 5th-place ranking. A month and a half after the European Championship, came the Olympics, which Bulgaria had qualified for the 5th time in their history. They were drawn in a simple group with minnows Thailand, tough opponents Guatemala and giants Czechoslovakia. Bulgaria started off with a 7-0 thrashing of Thailand. They later went on and drew with Czechoslovakia 2-2 to increase their point standards. Their final match once again determined if they would carry on to the quarter-finals. Needing a decisive win, Bulgaria went on to defeat Guatemala 2-1 and win their Olympic group. They qualified directly to the quarter-finals facing underdogs, Israel. The game remained 1-1 for most of the match until a drawing of lots determined who would go on to the semi-finals of the tournament. Winning the draw Bulgaria advanced to the semi-finals against Mexico. After a very hard fought match, Bulgaria proved stronger as they came out on top with a 3-2 victory. Bulgaria advanced to the finals for the first time in their Olympic history. They were determined to win the gold medal, but fell short with a 1-4 loss to Hungary. Although battling hard, Bulgaria came out with the silver medal. Bulgaria qualified for their third straight world cup. This time it was in Mexico just like the Olympics two years before. They were drawn in a very tricky group with giants Germany, South American powers Peru and African underdogs Morocco. Bulgaria played their first match against Peru. They were leading the match 2-0 until the Peruvians went on a scoring spree. in result, Bulgaria clumsily fell to Peru 2-3. The second match didn’t change much for Bulgaria as they fell to giants Germany 5-2. With a very slim chance of qualifying, Bulgaria needed a decisive win. They almost achieved this as the national side lead over Morocco for most of the game until the 61st minute. Bulgaria ended up drawing with Morocco 1-1, finishing the group in 3rd place and slightly falling short of next round qualification. Four years later, in Germany, Bulgaria qualified for their fourth straight world cup. They were drawn in a decently tough group, with dutch destroyers Netherlands, up setters Sweden and shockers Uruguay. Bulgaria started off their world cup campaign with Sweden. After a controversial disallowed goal scored by Bulgaria and 90 minutes of no score the game finished as a goalless 0-0 draw. Later on though, Bulgaria drew with Uruguay 1-1 after a hard fought match. Bulgaria remained in good qualifying contention; all they needed to do was tie against the Netherlands. As the final match came, Bulgaria fell by a 1-4 score. Bulgaria remained in the third place group position and sadly once again fell short of the next round. The only positive outcome was that this was their best performance at a world cup, coming off with two points from three matches. Bulgaria qualified for the World Cup in Mexico by finishing second in Group Four, behind France with 11 points, but ahead of powerful rivals Yugoslavia and Germany.]. This was their fifth World Cup appearance. They were drawn in Group A with Italy, Argentina, and South Korea. In the opening match of the World Cup, the Bulgarians held the defending champions Italy to an impressive 1–1 draw. A match in which surprised many world spectators. Alessandro Altobelli gave the Italians the lead, but an 85th minute equalizer by Nasko Sirakov gave the Bulgarians the point they needed. The next match was another 1–1 draw against South Korea with the goal for Bulgaria coming from Plamen Getov in the 11th minute. They lost the final match of the group 2–0 against Argentina, who eventually won the tournament. Despite not recording a win, the Bulgarians advanced to the knockout stage by being the third-best third placed team. 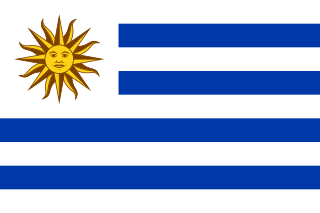 By doing so, Bulgaria along with Uruguay became the first nations to qualify for the knockout stage without winning a game in the first round. In the Round of 16, they faced World Cup hosts Mexico, who were looking for revenge due to their previous home Olympic semi-final loss to Bulgaria in Mexico City in 1968. The match was hard fought from both sides of the scale but ultimately, Mexico came away with the 2-0 win. Hristo Stoichkov, considered the greatest Bulgarian legend & one of the best all time within the sport. He won the Ballon d'or, World & European Golden Boots in 1994. His incredible style of play led Bulgaria to the Semis of World Cup 1994, along with leading FC Barcelona to their first ever UCL European Title in 1992. Certainly one of the most important dates in Bulgarian football history is 17 November 1993, a date where Emil Kostadinov scored two goals in the 90th minute to beat France in Paris, allowing Bulgaria to qualify for the World Cup in the United States in 1994. Under the management of Dimitar Penev, the Bulgarians, led by players such as Hristo Stoichkov, Yordan Lechkov, and Krasimir Balakov, along with a multitude of other talented players remembered in Bulgaria as the "Golden Generation", made a strong impression by surprisingly reaching the semi-finals and earning the bronze medal. They entered a very tough Group D with 1990 World Cup Runners-up Argentina with Diego Maradona at the helm, African Nations Cup Champions Nigeria, and Balkan rivals Greece. The first match ended with a 3–1 defeat to Nigeria. Stoichkov scoring the only goal for Bulgaria off an incredible 40 yard curling free-kick in the 32nd minute to tie the game at 1. Despite the bad start, the team made quite a huge statement by winning 4–0 against their Balkan rivals Greece and increasing their goal difference. Their third and final match came against power house and world cup favorites Argentina. The powerful Bulgarian side came away with a shocking 2–0 victory. Argentina had actually been winning the group going into injury-time. A 91st minute strike from Nasko Sirakov, however, meant that they'd drop two places and finish third. Bulgaria continued to the round of 16, where they faced Mexico. Stoichkov opened the scoring in the 6th minute with an incredible strike off a break away from outside the box, tallying his fourth goal. The match ended 1–1 and after no goals were scored in extra time, penalties decided which team would go through. Team captain Borislav Mihaylov made a very shocking performance by saving the first three penalty kicks in a row, and breaking the world cup record. Bulgaria won 3–1 on penalties with Mihaylov becoming the hero for the Bulgarian Lions. In the quarter-finals, Bulgaria faced the defending world cup champions Germany. At the start of the match held in Giant's Stadium, the Bulgarians were dominating impressivley, hitting the post twice in the process. A majority of the world's football fans were rooting for the legendary Bulgarian side until Lothar Matthäus silenced them by scoring from a penalty to open the scoring. The Bulgarians, however, managed to turn the game over with a swerving free kick by Hristo Stoichkov and a flying header by Yordan Lechkov, giving them a 2–1 win and recording one of the most memorable wins in world cup history. Millions of Bulgarians celebrated this win in the Bulgarian capital city of Sofia along with other notable Bulgarian cities. Having reached the semi-finals, this had become the best Bulgarian performance in their world cup history. In the semi-finals, they controversially lost 2–1 to Italy. Stoichkov scored Bulgaria's only goal in the first half to tally his seventh goal, which led the tournament. In the second half, Bulgaria were waved off a penalty in which the Italian defender had clearly committed a handball in the box, off a Kostadinov cross. Despite the unfair officiating, the Bulgarians shocked the world with their entire world cup performance and were eventually given the bronze medals. Hristo Stoichkov was awarded the Golden Boot as the top scorer in the tournament with his seven goals, along with making the world cup's top ten best goals list. Krasimir Balakov was named in the all-star 1994 world cup dream team along with Stoichkov. Later on in December, Stoichkov was awarded the FIFA Ballon D'or trophy for his great skill and leadership, becoming the first Bulgarian and third Barcelona Player to win it in history. Starting 11: GK-Mihaylov(c); RB-Kiryakov/Kremenliev, CB/SW-Hubchev, CB-Ivanov, LB-Tsvetanov; DM-Yankov, CM-Lechkov, CM-Balakov, AM/CF-Sirakov/Borimirov; CF/RW-Kostadinov, CF/LW-Stoichkov. In 1996, the team qualified for the European Football Championship for the first time, after some great results in the qualifying group, including a stunning 3–2 turn around win against future Euro 1996 champions Germany. They were drawn in Group B with France, Spain, and Romania. Bulgaria started with a 1–1 draw against the Spanish giants. Stoichkov scored his second goal with a wonderful volley but it would be controversially ruled off sides even though the cameras clearly revealed it was not. After their unfair draw with Spain, Bulgaria went on to a 1–0 decisive win over rivals Romania. Stoichkov scored in the 3rd minute adding to his goal list once again. In the final group match, the Bulgarian side lost 3–1 against France, Stoichkov scored an amazing free kick to give Bulgaria their only goal of the game along with their only loss. At the same time, Spain defeated Romania 2–1 with the winner coming in the 84th minute, and the Bulgarians were subsequently robbed of the quarter-final round. Bulgaria qualified for the World Cup in France by finishing first in the Group 5, with decisive wins over power house Russia. They entered the competition with a new manager Hristo Bonev. Bulgaria drew Spain, Nigeria, and Paraguay in Group D. The first match ended decently, in a 0–0 goalless draw against eventual group winners, Paraguay. In the second match, the Bulgarians lost 1–0 for a second-straight World Cup to Nigeria. The final match ended with a disappointing 6–1 defeat to Spain, even though two Bulgarian off sides goals were ruled out, possibly making the score 6-3. Following the bad results, Bulgaria finished fourth in the group, with only one point, and could not manage to repeat their success they had at the previous world cup. This was the last major appearance at the world cup level for Bulgaria. Bulgaria was drawn in a tough qualifying group with teams England, Sweden, and Poland. The campaign started slow with a draw and a defeat by Poland and Sweden. The most memorable match for Bulgaria in the group was the 1–1 draw against England, which was also the last match for Bulgarian legend Hristo Stoichkov before his international retirement. Bulgaria finished third with eight points and failed to make the final stages of Euro 2000. Bulgaria was once again drawn into a tough group with Denmarkand Czech Republic. The group was also the debut of Bulgaria's top scoring legend Dimitar Berbatov. Bulgaria won the matches against the weaker teams, but lost once and drew once with both Denmark and the Czech Republic. Bulgaria finished third with 17 points, three points behind second-placed Czech Republic, thus failing to make the World Cup in South Korea and Japan. Bulgaria managed to qualify for the Euro 2004 in Portugal by finishing first along with racking up major wins over Croatia and Belgium. They drew Sweden, Italy, and Denmark in Group C. They started off very slow with disappointing defeat to Sweden, followed by a 2–0 defeat to Denmark. The last match against Italy was a reasonable 2–1 defeat. The match was looking to end 1–1 after goals from Bulgarian winger Martin Petrov and Simone Perrotta, but a last minute goal by Antonio Cassano gave the Italians the win. They finished fourth with zero points and were sent home without reaching the knockout round. Bulgaria failed to qualify for the World Cup in Germany after a run of poor results,they started off well with wins over Hungary and other weaker teams. They tied with Sweden and Croatia the first run but lost the other meetings to the two sides. Although Berbatov scored many key goals in the qualifiers including a last minute eqaulizer against Croatia, Bulgaria still finished third in Group Eight with 15 points. Although not making it to the 2006 FIFA World Cup, Bulgaria found themselves in a minor tournament in Japan. Known as the Kirin Cup, Bulgaria entered for the first time. They started off well with a 2-1 victory over the hosts, Japan. Later on though, things went downhill as they lost 5-1 to Scotland, the eventual cup champions. Bulgaria finished as the Runners-Up and received the silver medal. Group G had Netherlands, Romania, and Bulgaria as the main contestants for a qualifying spot for the Euro 2008 in Switzerland and Austria. Bulgaria performed well after a run of good results against Romania which gave them the first place. Bulgaria went on to the playoffs but drew the first match 1-1 along with losing their second match 2-0. The Bulgarians were robbed of their 4th Euro Cup appearance and finished with 25 points with only one loss. Bulgaria were drawn against Italy and Ireland in qualifying Group Eight. Bulgaria started the campaign with a series of draws. After the unconvincing start, the manager Plamen Markov was replaced by Stanimir Stoilov in January 2009. The Bulgarians then recorded their first wins of the group over Cyprus, Montenegro and Georgia. They finished in third place with 14 points, therefore failing to qualify to a play-off spot. Bulgaria were drawn in Group G along with England, Switzerland, Wales, and Montenegro. Bulgaria started off horribly with an opening away loss to England. They later on drew level with Switzerland along with defeating Wales and Montenegro. Sadly, Bulgaria finished in third behind Switzerland. This was the fourth time in the 2000s era Bulgaria had finished third in there qualifier group. In the qualification phase for the 2014 FIFA World Cup Bulgaria were placed in Group B together with the teams of Italy, Denmark, Czech Republic, Armenia and Malta. Under the guidance of former player Lyuboslav Penev as head coach, Bulgaria enjoyed a revival and put up an incredible performance in many friendly matches before the start of the qualification stage, most notably a 2-1 victory over world cup 2010 runners-up Netherlands in Amsterdam. The qualifications started with a well-earned 2-2 draw against the Euro 2012 runners-up Italy. Bulgaria then edged a tight match against Armenia, which ended 1-0. Later on Bulgaria narrowly drew 1-1 against Denmark. Another good performance followed four days later, Bulgaria earning a hard-fought 0-0 draw away to the Czech Republic. As a result of these performances, the team climbed from 96th in the FIFA Ranking, their lowest position in history, to 40th in November 2012, earning FIFA best mover of the year. Nevertheless, Penev's players hosted and defeated Malta 6-0 under heavy snowfall. Four days later, Bulgaria once again set a draw with Denmark 1-1 in Copenhagen. This result left Bulgaria second in the group with 10 points and still undefeated. Bulgaria traveled to Italy, a game where they narrowly lost 1-0. Further on, the lions secured three more points with a 2-0 away win against Malta, leaving them hopeful of securing their second place in the group and a spot in the play-offs. However, after Bulgaria was defeated by Armenia 2-1 and the Czech Republic 1-0 at home, the dream of qualifying ended. Bulgaria were placed in a group with Italy, Croatia, Norway, Azerbaijan, and Malta. Bulgaria opened up there first match with a 2-1 victory over Azerbaijan. They were narrowly defeated 1-0 by Croatia, following another tight 2-1 defeat to Norway. To add to the misery, Bulgaria drew with Malta 1-1 at home. This ultimately cost Head Coach Lyuboslav Penev his position, which was replaced by former Ludogorets Razgrad Coach Ivaylo Petev. On his debut match, Petev's squad drew Romania 0-0, this later led to a hard fought 2-2 draw with Italy, which Bulgaria led till the end of the match. When June came around, Bulgaria took down Malta 1-0 to edge 2 points ever closer to that third place playoff position. They later narrowly lost at the hands of Norway, Italy and Croatia. Their final resulted in a 2-0 decisive win over Azerbaijan but their chances of qualifying to the finals tournament sadly ended once again. Bulgaria were drawn in Euro Cup Nations League C qualifying group 3 with Norway, Slovenia and Cyprus. Bulgaria opened up the campaign well, with an impressive 2-1 win over Slovenia and an even more astounding 1-0 shutout win over Norway. The Norwegians eventually avenged their loss to Bulgaria, resulting in a tie for first place. Bulgaria eventually closed out the second round of games with two 1-1 draws against Slovenia and Cyprus. This ultimately resulted in finishing in second place and narrowly missing promotion to League B. Traditionally the Bulgarian squad plays at home entirely in the colours of the Bulgarian tri-color. Their nickname is The Lions, in tribute of the lions represented in the coat of arms of Bulgaria. Bulgarian tri-color flag (left) and coat of arms of Bulgaria (right). Normally, the Bulgarian national football team's home stadium is the Vasil Levski National Stadium with a capacity of 45,000. Vasil Levski was officially opened in 1953 and reconstructed in 1966 and 2002. It is currently eligible to host UEFA Europa League final matches. It is the second largest stadium in Bulgaria just behind the Plovdiv Stadium with a capacity 55,000. During the 2006–07 UEFA Champions League, the stadium was used for the games of Levski Sofia with Barcelona, Chelsea, and Werder Bremen. It was also given three stars for its excellence in art construction of the stadium. The Bulgarian national football team's home matches and the Bulgarian Cup finals are held at the venue, as well as athletics competitions. The stadium also offers judo, artistic gymnastics, basketball, boxing, aerobics, fencing and table tennis halls, as well as a general physical training hall, two conference halls, and three restaurants. All caps and goals as of 25 March 2019 after match against Kosovo. Petar Hubchev, the current manager of the Bulgaria national football team. Dimitar Berbatov is Bulgaria's all-time top scorer with 48 goals. The 1994 FIFA World Cup was the 15th FIFA World Cup, held in nine cities across the United States, from 17 June to 17 July 1994. The United States was chosen as the host by FIFA on 4 July 1988. Despite the host nation's lack of soccer tradition, the tournament was the most financially successful in World Cup history; aided by the high-capacity stadiums in the United States, it broke the World Cup average attendance record with more than 69,000 spectators per game, a mark that still stands. The total attendance of nearly 3.6 million for the final tournament remains the highest in World Cup history, despite the expansion of the competition from 24 to 32 teams, which was first introduced at the 1998 World Cup and is the current format. 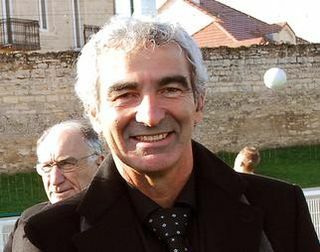 Raymond Domenech is a retired French footballer, the current manager of the Brittany national football team and the former manager of the French national football team. The Bulgaria national football team is an association football team of Bulgaria. It is fielded by the Bulgarian Football Union, a member association of UEFA. The team's home stadium is the Vasil Levski Stadium in Sofia and Petar Hubchev is the current national manager. Their best achievements are – reaching the FIFA World Cup semi-finals in 1994, reaching the Summer Olympics final in 1968, quarter-finals at the UEFA Euro 1968, along with winning four Balkan Cup titles. Although defeating strong top ranked teams in many international friendlies throughout the years, the team's strength has slowly fallen. In result, Bulgaria has failed to qualify for any major tournament since 2004. The history of the France national football team dates back to 1904. The national team, also referred to as Les Bleus, represents the nation of France in international football. It is fielded by the French Football Federation and competes as a member of UEFA. This article is a record of Scotland's results at the FIFA World Cup. Scotland have played at eight World Cups, including five consecutive tournaments from 1974 to 1990. Scotland have never advanced beyond the first round of the finals competition. They have missed out on progressing to the second round three times on goal difference: in 1974, when Brazil edged them out; in 1978, when the Netherlands progressed; and in 1982, when the USSR qualified. Association football is the most popular sport in almost all North, Central American and Caribbean countries, and 11 members of the Confederation of North, Central American and Caribbean Association Football, CONCACAF, have competed at the sport's biggest event – the men's FIFA World Cup. The history of the Portugal national football team dates back to its first match on 18 December 1921. The Portuguese Football Federation was formed in 1914 with the name União Portuguesa de Futebol, but due to World War I, the team didn't play its first international match until 1921. 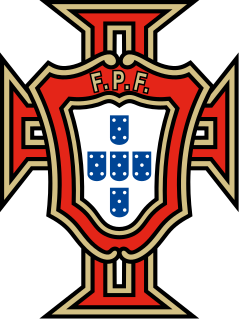 The Portugal national football team has played in the FIFA World Cup, where their best finish was third, the Euros, which they've won, and other tournaments throughout its history. ↑ "FIFA-ranking yearly averages for Bulgaria". Fifa.com. Retrieved 16 June 2018. ↑ "Състав на България "А" за мачовете с Черна гора и Косово" [Bulgaria's "A" composition for matches with Montenegro and Kosovo] (in Bulgarian). Bulgarian Football Union. 11 March 2019. ↑ "World Football Elo Ratings: Bulgaria". Elo Ratings. Retrieved 9 September 2017. Wikimedia Commons has media related to Bulgaria national association football team .